Nutritional meals packaged by our Zieggy Tribe in December finally arrived at their final destination in Liberia. Breanna Humphries, a member of the Zieggy Tribe and founder of weServeEats, organized the meal packing event for the Wheeling tribe. She visited the warehouse where many of the meals are stored in Liberia during a trip to West Africa over the new year holiday. Each meal from Lifeline Christian Mission contained rice, dehydrated vegetables, protein, vitamins and minerals. One serving could provide a child with roughly 70 percent of the nutrition needed for an entire day. Community organizations in the Wheeling area were first offered the meals to distribute in our country. Leftover meals were donated to Christian Aid Ministries (CAM) in Liberia. The children helped by the meals that were sent to Liberia showed Humphries great appreciation for the donations. 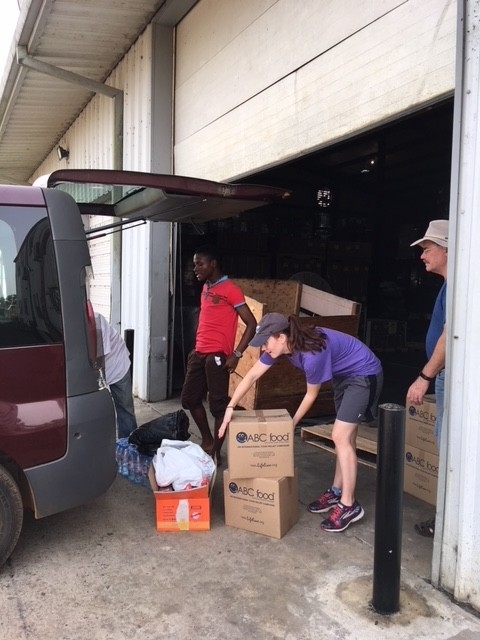 "The kids are overjoyed when they see us and greet us right away with the biggest smiles," said Holly Filipovich, another member of the Zieggy Tribe who travelled to Liberia with Humphries to drop off the donations. "We have played kickball, volleyball, jumped rope, made paper airplanes and sang songs, along with many hugs and words of encouragement. A big hit was the coloring books. One thing I am quickly learning and gaining perspective here is how much we take for granted back in the United States."